Well, but this is a bit annoying. So it is not possible, to Save PNG-Pictures with Transparency at all?? At the moment, I am trying to create PDFs using Polybios, and am unable to get those images into the PDF. Thay always look very messed up. It did not work when saving the brushes first and using doc:LoadPNGImage() then, nor when importing them directly using doc:CrateImageFromBrush(). Any solution or workaround to solve this problem?? @evil: I think your issue is unrelated to this thread. jPV's problem is specifically related to the rather rare case of converting a text object (or text layer) to a brush. This is the only case in which the invisible pixels will contain junk because it is too expensive for Hollywood to always clear all memory first when drawing text. If you have a problem embedding images in PDFs with Polybios, you might want to open a new thread and post code that demonstrates the issue. I think, my problem is not that different. I also get those artefacts when Creating Fonts. I noticed similary artefacts in Brushes, if they were rotated. And also I only notice those Artefacts, when I save the Brushes to disk or import them directly into Polybios. Yes, that is true. 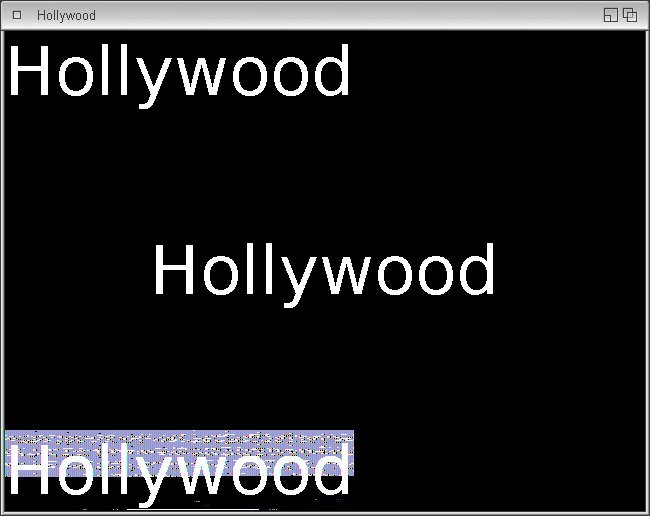 When transforming brushes, Hollywood will not touch the pixels which are invisible anyway because that would decrease the performance. But as I said before, the "transcolor" argument of SaveBrush() was specifically designed to solve this problem. It allows you to set all transparent areas to this specific color (e.g. black), thereby eliminating all random pixels in the image. If that doesn't solve your problem, please post some code that illustrates your problem. Afterwards I used your Polybios Example JPEG, Changed the Imagenames to "ram:brush.png" (both), and used the command LoadPNGImage() of course instead of LoadJPEGImage(). The PDF shows green, rotated Boxes with black Background. No Transparency there. Also, If I display the picture with any Picture-viewer, they are not transparent at all. I tested on OS3.9 (Amithlon) and on Ubuntu X64Linux. On Both systems the same. No Transparency. Thats why I used my workaround shown above.